We believe all patients and their family members deserve the best care and treatment throughout their time with us. We have the most-qualified nursing professionals, staff and volunteers who are committed to excellence and reflecting our core values of compassion, accountability, respect, integrity and service – the Caris promise to you. Hospice care is offered to people suffering from a life-limiting illness with a cure no longer an attainable solution. The focus is managing pain and symptoms and making you or your loved one as comfortable as possible by responding to physical, emotional and spiritual needs with dignity and respect during the last stretch of life. Caris serves you or your loved one where you live. 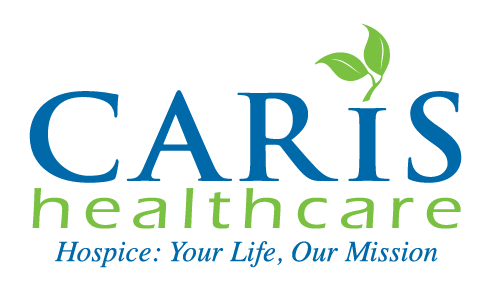 Our skilled nurses provide care in homes, assisted living centers and skilled nursing centers or hospitals that have contracted with Caris for hospice service. A full team of health care professionals are on call to serve each hospice patient’s needs. All services are under the direction of a physician. Medical directors lead hospice teams in providing services for our patients. Skilled nursing professionals and nursing professionals are expert pain and symptom management specialists who ensure that patients are comfortable and have the needed services and supportive care. Certified nursing aides provide personal care and assist in daily living activities. Chaplains provide spiritual support for patients and their families. Social workers offer emotional support and assist patients and families with community and financial resources. Bereavement counselors work with families both during and after care for patients. Pharmacists provide guidance in providing the best support for patients through available medications. Volunteers assist patients and families with any other special needs. When is the right time to decide whether I or a loved one needs hospice care? Hospice can become necessary for anyone. It is best to learn about hospice before end-of-life care becomes an immediate concern. Discuss hospice care with family members and equip yourself to make an educated decision when you or someone you love needs hospice care. How do I know if hospice care is appropriate? If you or a loved one are suffering from a life-limiting illness or approaching the final stages of life, hospice care is an option. Caris seeks to enhance the quality of life regardless of the amount of time that remains. Medicare covers cost of hospice care for terminally ill individuals who choose to stop seeking curative treatments. Most private individual plans also cover hospice care. Coverage varies by plan.